Welcome into our refreshed playroom! It is amazing how choosing the right colours can make such a big difference in a room. 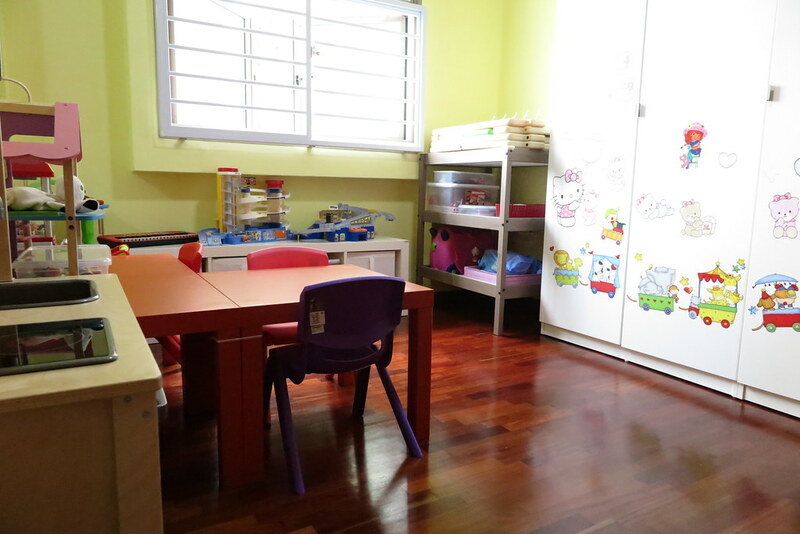 We are loving how cheerful, vibrant and awesome our new playroom is. 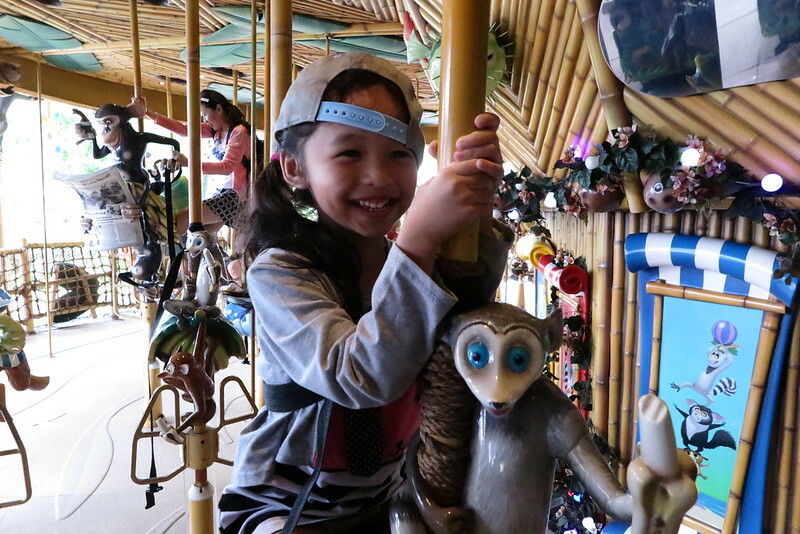 Come on in and play with us in our happy playroom! Our cosy reading corner with matching cute retro chairs from Chair-ish the Moments. 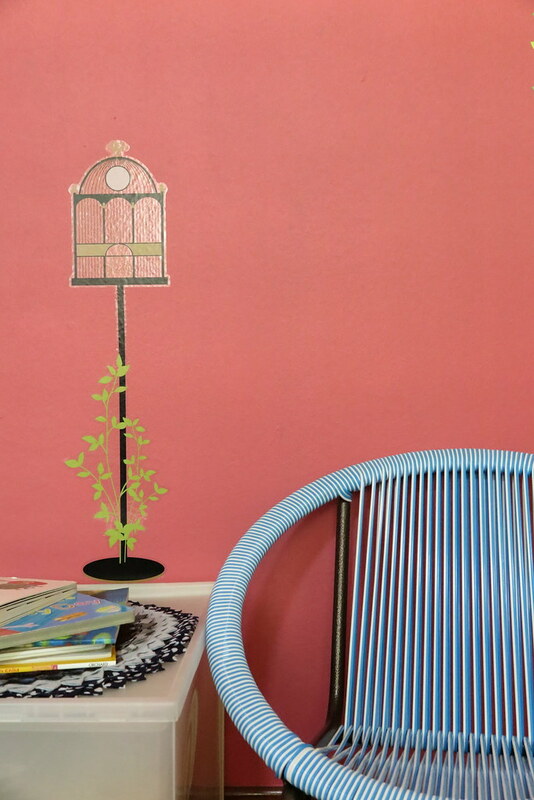 Love the colour combination here with our pink wall in Strawberry Crush, 74RR 28/432 from Dulux. You see how the pink wall looks very different in the above and below photos? Lighting plays a huge part in how the colours on your wall will appear in real-life and on photos. Hence it is very important to pick the colours at home and not in stores or at your Interior Designer’s studio. Bring home the colour book or paint chips and visualise from your own home and rooms. Check them in the day, at night and with room lightings, making sure the colours are what you want. If you have existing furniture in the room, it’ll be ideal to match them too. 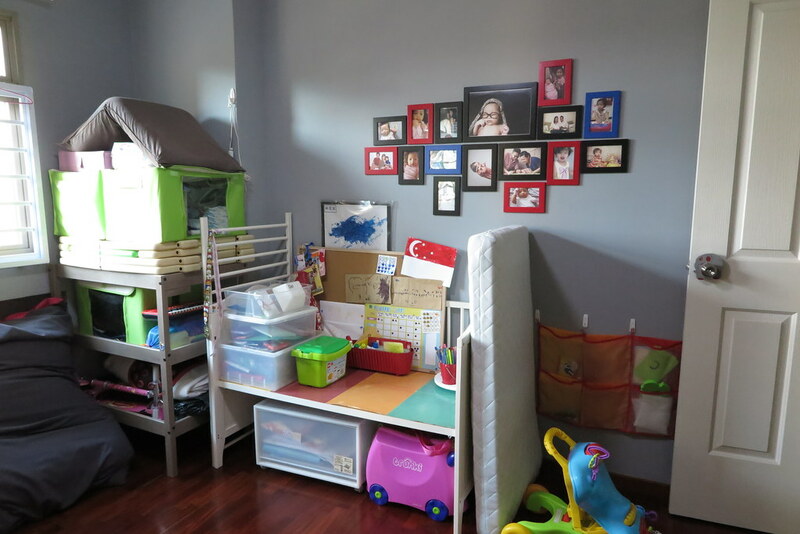 Or even plan ahead, like how we are planning to convert this playroom to the girls’ bedroom in a few months time. The bedsheets for their beds will preferably be of lighter shades of pink, darker shades of yellow, orange or blue. 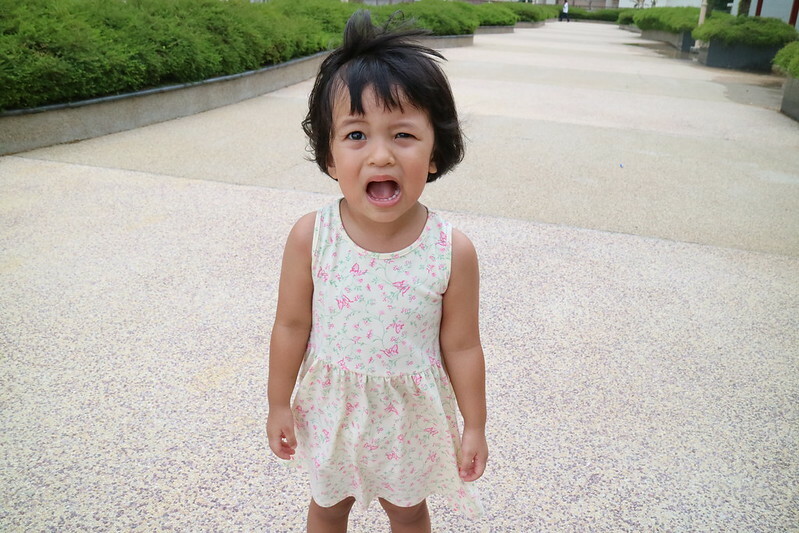 Mini chair for Zara, medium chair for Ayra and a Muji legless chair for Mummy. Loving how every thing just pops against the yellow wall in Celestial Sun, 54YY 85/291 from Dulux. Cooking is probably one of our girls’ favourite play activity in the room. Now their kitchen + mini cafe is brightened up whenever sun shines through our window in the morning. These orange tables were already in the room before our makeover. With the new yellow wall, these orange tables from Ikea look more fun and pretty as compared to when it was against our old grey walls. 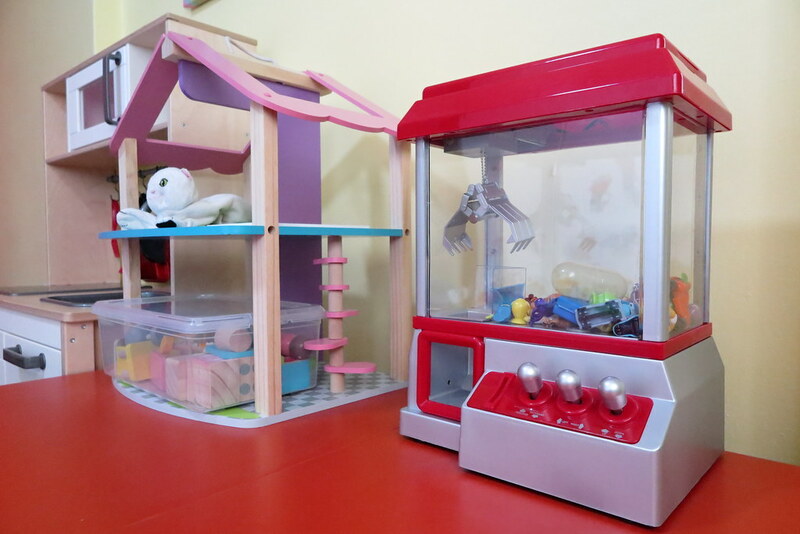 Tips for storing tiny toys: Buy a candy grabber aka mini UFO catcher and store them all in there. Makes nice decor piece and have some fun catching them too! 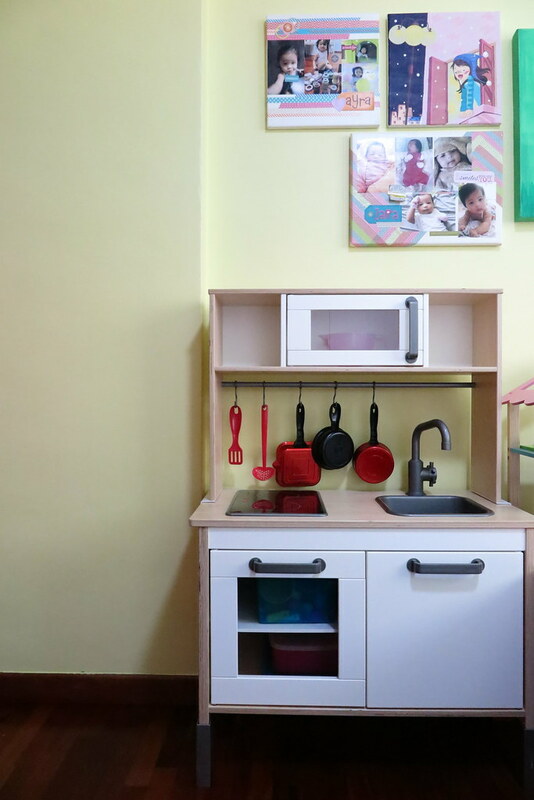 Now you have seen the close-ups, here are some shots of the wider views of our playroom – the before and after our repainting transformation with Dulux. Wider shots of rooms are not as nice a view nor fit for show house quality shots right? 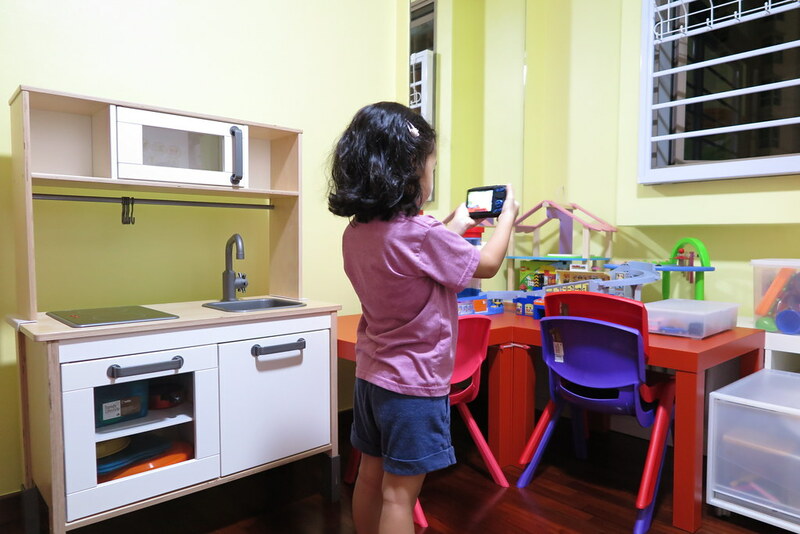 That’s why it is almost impossible to snap photos of your beautiful home once you stayed in there for more than a year; make that a month when you have little kids in the house! 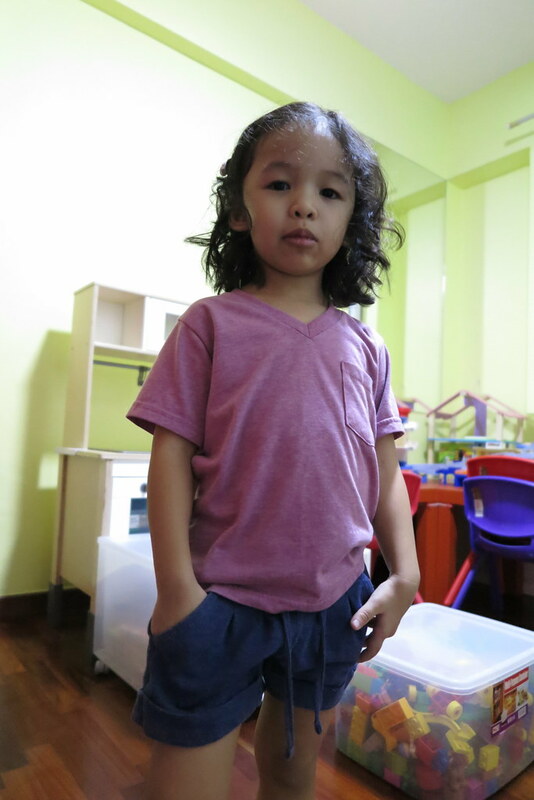 Getting our room repainted gave me a valid reason to clear out all the unused and unwanted stuff around our playroom room. I must find time to do the same to my work room which is now more like our second storeroom in the house! And I don’t even want to think about the craziness in our storeroom! 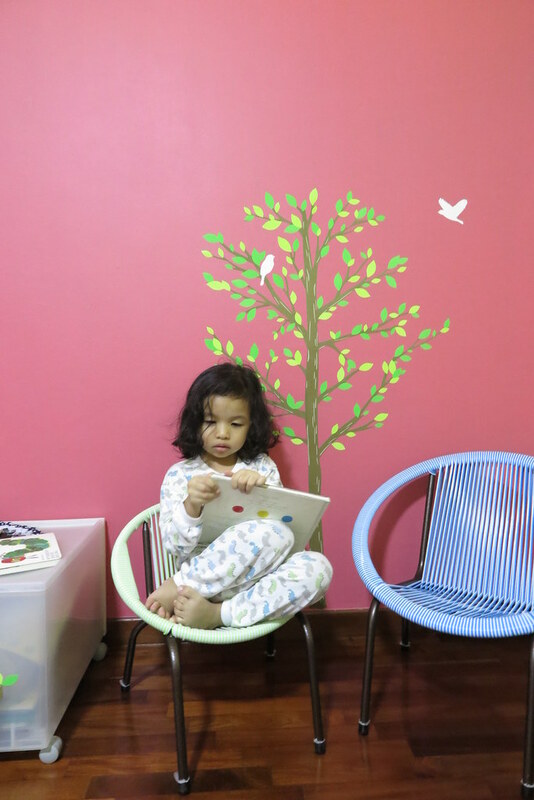 A quick flashback to the day when Ayra returned from school and saw her new room, yes she’s calling it her new playroom ever since the repaint was done. First she was stunned and just stood there looking at the new colours, then she asked to take photos of her room. And when she’s done posing, she did the photo taking on her own with the PowerShot D30 camera, which I gladly handed her as it was shockproof! No need to be afraid it falling off her hands. The new layout and toys placement is also easier for her to pick and choose what she wants to play without needing assistance from us. Just move the toys around and she can start playing. Glad the school has trained her well in putting back her toys after play. Ayra loves reading and listening to stories with me on the new chairs I bought. Guess she prefers to be hugged by it as she always picked the tiny green one instead of the spacious blue one. 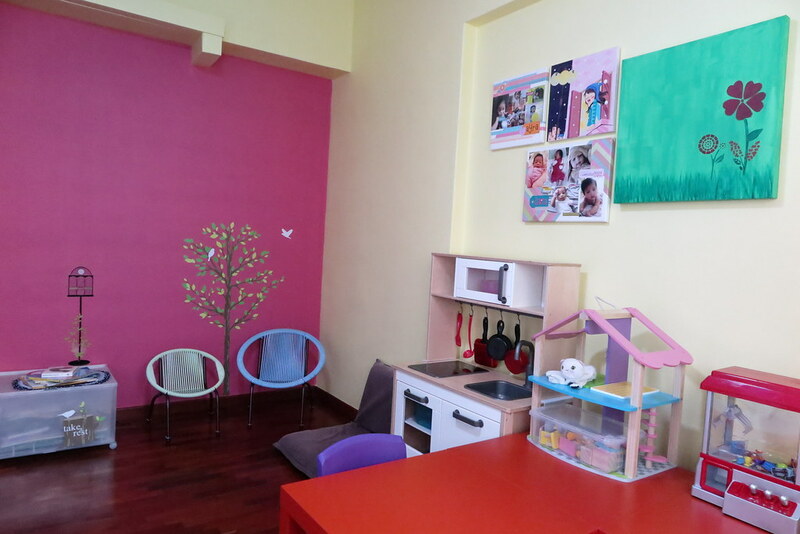 We cannot stop sharing with families and friends how our room is so much better after a repaint with the right choice of colours. 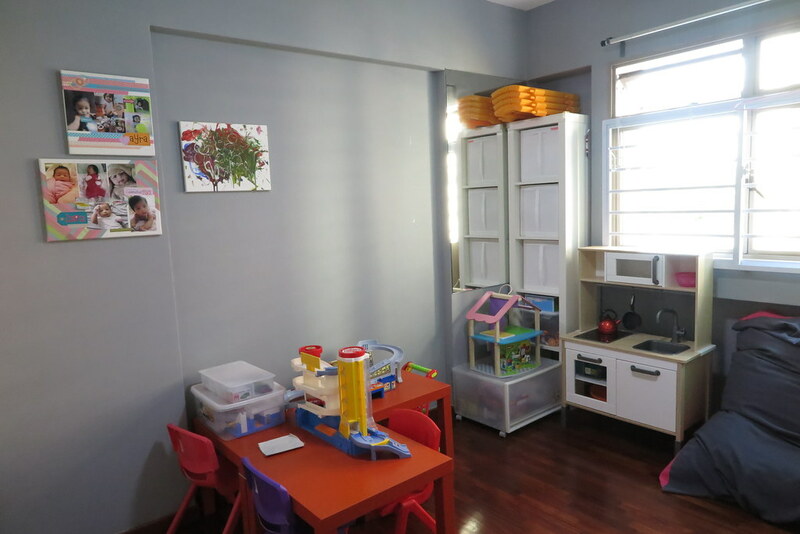 Even our part-time helper who come by once a week said she was shocked to see the room brighten up after the painting. She even thought we forgot to turn off the light in the room when she first saw it; I couldn’t stop laughing when she told me that the week after. I know! You must think I am crazy to make repainting the house sound like an easy-peasy task. Just the thought of packing and moving the things around the house alone is enough to make most of us exhausted already. But after going through our playroom revamp with Dulux Professional painting service, I would do an entire house repaint if I can! Check out the short one-minute video below and you will know why. All I did to prepare the room for the painting job was to remove whatever pictures I had on our walls. And all the other stuff were moved and protected by the Dulux professional painting crew. Before starting work, they make sure all your furniture are protected, floor covered and any corners or build-in furniture taped up so it would not get stained with paint. And they even help you clean up and move your furniture back to where they were once they are done with the paint work! Awesome isn’t it? With such professional service, why wouldn’t I hire them to paint the house? 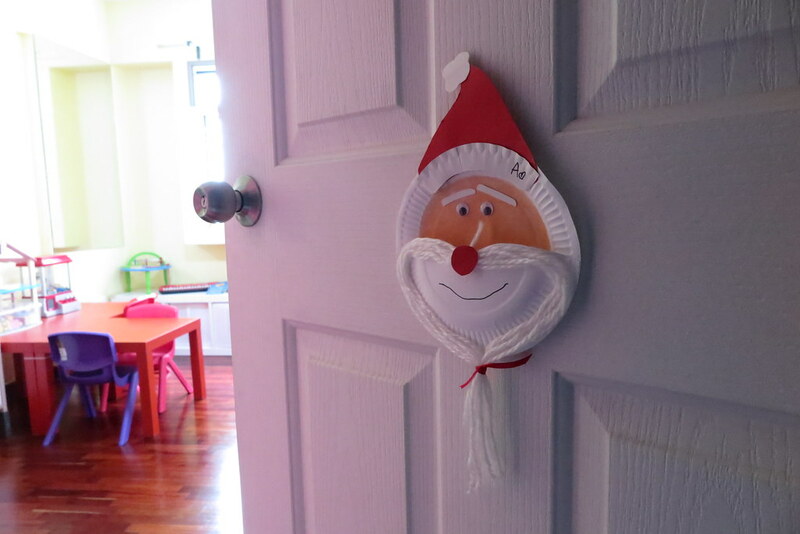 Thanks for following our transformation and hope you like what we did with our playroom. 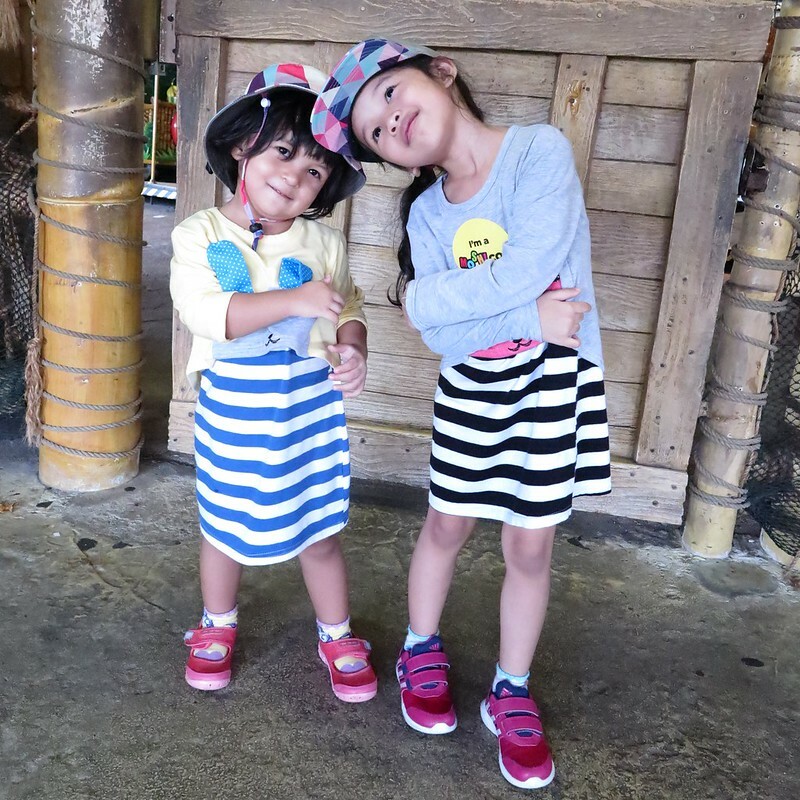 Do vote for us when the voting begins from 8 to 14 December 2014 at Dulux Singapore Facebook Page. Check out the other 10 bloggers who were with me through this Colour inspiration journey with #DuluxSG. 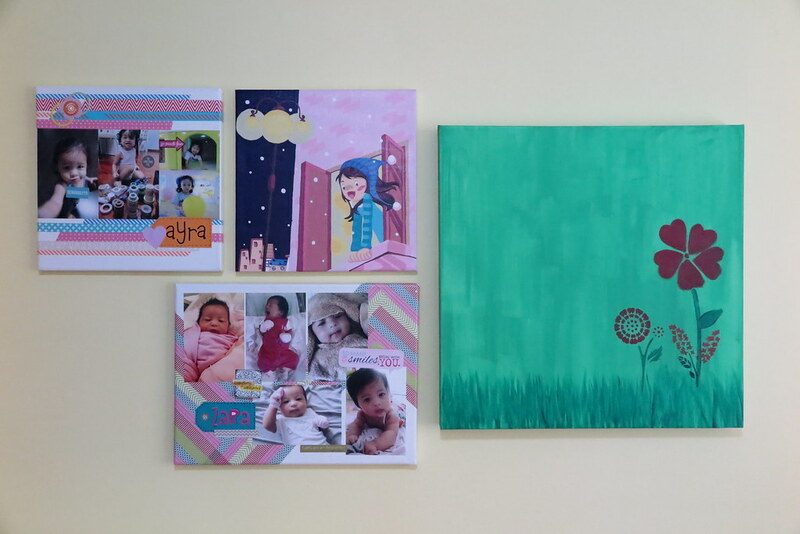 If you have posted about your kids room or playroom too, do link up with us with the banner below.